Come into Bob’s Big Boy for a scrumptious burger & fries or a refreshing and delicious milkshake. And you can get breakfast from us anytime of the day! "@agrorat That'd be awesome! What kind of food would you serve?" "@Lorena64o Looks amazing! How was it, on a scale of 1-10?" "@ErikaVigerzi That's pretty great! First time at the museum?" An excellent old-school dinner dating back to 1948! Great burgers, fries and shakes - in a retro environment that frequently has car meets out back on Friday evenings. A classic experience of Americana. Great American burgers. True diner style food which was absolutely amazing and filling. The milkshakes are fantastic, a must buy for tourists and staff were helpful. Thanks! Ordered The big Two, substituted the meat for home fries. Staff was friendly and the food was delicious. The pancakes were not overly sweet. Good portion size. Yes, I'd like to receive news from Bob's Big Boy Burbank, CA. 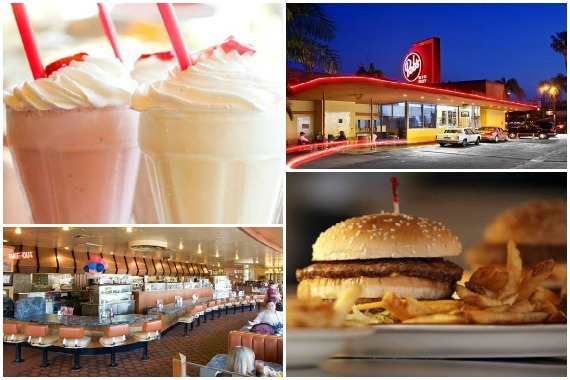 Sign up for the Bob's Big Boy Burbank, CA Newsletter!